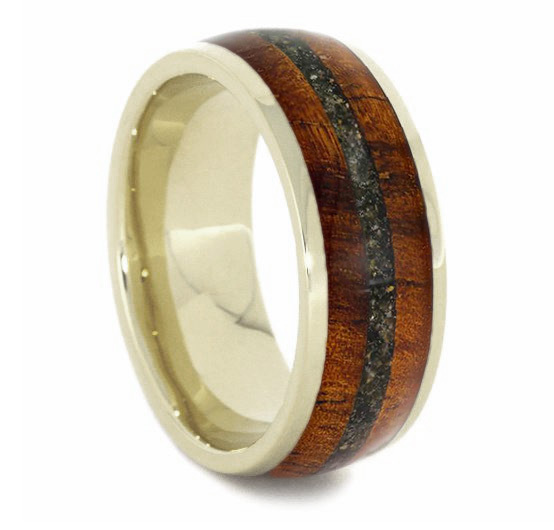 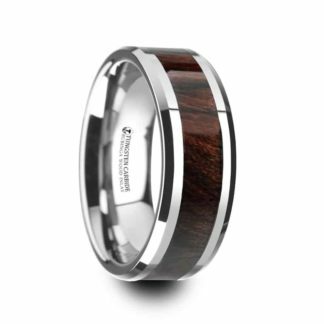 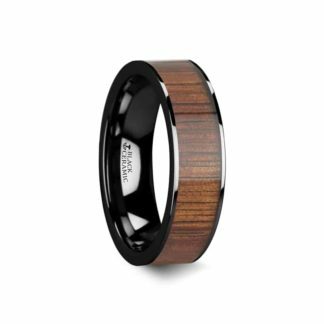 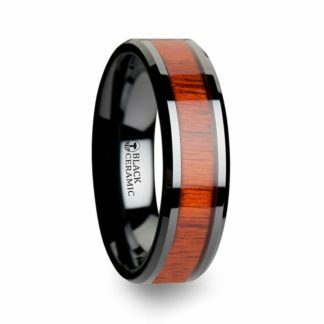 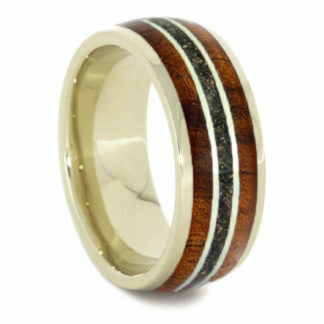 Stunning KOA Wood ring with Green Sand Inlay in 8 design in 14 Kt. 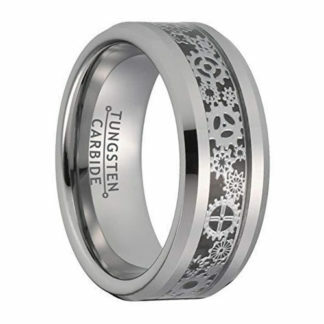 White Gold with eye-catching domed design, complete with comfort fit styling. No two rings are the same in that each will have its original living (organic) features – truly a desirable and sought after creation.